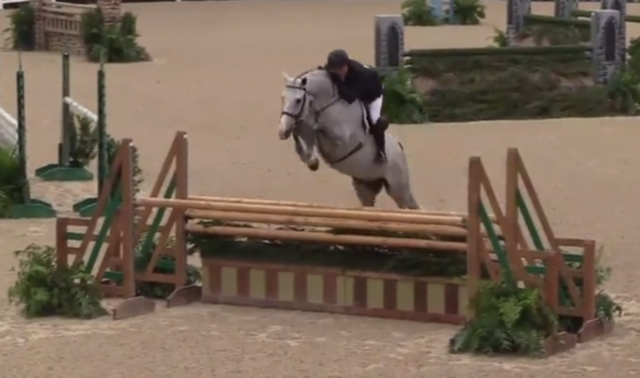 A great hunter elevates a round of fences into a work of art: watch this masterful combination of Scott Stewart and Catch Me work their magic! The Devon Horse Show is running right now in Main Line, Pennsylvania: as the nation’s oldest outdoor multi-breed show, Devon brings well over a century of history and prestige to the famous blue Dixon Oval every spring with top hunter, jumper and driving competition. It doesn’t get much better than a gorgeous dapple gray with snappy knees, does it? USEF Network is providing a live stream of the Devon Horse Show, plus plenty of winning highlights on its Facebook page. Our sister site Jumper Nation will also be providing plenty of coverage from the hunter/jumper rings!